Nearly every state has a State Police or State Highway Patrol agency. In some states, it may be called the Department of Public Safety. Their law enforcement officers a commonly referred to as "State Troopers." Every state has some slight differences as to the Trooper's duties and responsibilities. Listed below are some of the general differences between the State Police and the State Highway Patrol. The State Police is basically a full service law enforcement agency. They patrol the highways but are also a policing force for the majority of the state. It is not uncommon to see a state trooper patrolling a rural county road even though the sheriff's office may have jurisdiction in the same area. They not only respond to traffic accidents but they may be the first responder to any type of crime. The State Police usually have a large amount of investigative responsibilities. As their name implies the State Highway Patrol does a lot of patrolling on the state highways. In some states, they are limited to statewide traffic services. They keep the roadways safe by enforcing the motor vehicle laws. They are considered peace officers and usually have statewide jurisdiction to enforce state law. They do conduct investigations but are sometimes limited to criminal activity on state-owned property. Every State Police and State Highway Patrol has specialized units within their agency. Once you become a Trooper and have gained enough experience, you can usually apply for one of these positions. Here are some of the divisions that these agencies may have. This is the state's version of the FBI. In some states, they are called the SBI (State Bureau of Investigation) while other state's attached the state name to the title such as GBI (Georgia Bureau of Investigation). These are plainclothes agents who investigate criminal and civil cases within the state's jurisdiction. A lot of their work involves investigating illegal narcotics, apprehending fugitives and enforcing the anti-terrorism laws. They usually report to the state's Attorney General and in some cases the Governor. Using state-of-the-art crime scene equipment, these agents are responsible for identifying, collecting, forensically examining and preserving physical evidence at crime scenes. This may include fingerprints, drug analysis, toxicology, hair samples, fiber samples and firearms. This unit focuses on subversive organizations such as white supremacist groups operating within the state. They will also investigate terrorist acts such as bombings and threats. If a Trooper stops a vehicle that he suspects may be transporting drugs, the canine unit may be called to have a dog search the vehicle. If the dog alerts, this gives the Trooper probable cause to search the vehicle or at least detain the vehicle and driver until a search warrant can be obtained. Dog may also be used to detect explosives and to search an area for suspect who may be hiding. Personnel from this unit will administer polygraph examinations for the State Bureau of Investigation. They will also assist other law enforcement agencies who do not have a polygraph examiner. The State Police and Highway Patrol are usually responsible for protecting the governor and other dignitaries. A detail may be stationed at the governor's residence as well as a detail traveling with the governor. 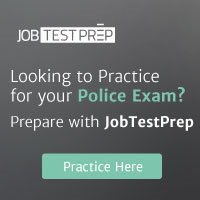 Most states have other law enforcement jobs that are not a part of the State Police or State Patrol. Some states may have the careers listed below. In some cases, they may be a division of the State Police while others may be their own agency. The primary mission of the ALE is the enforcement of state laws governing alcoholic beverages, drugs, and tobacco. Agents sometimes work undercover to ensure business are not selling alcoholic beverages and cigarettes to minors. They also perform any law enforcement duty assigned by the Governor. Capitol Police Officers are usually in uniform and perform a wide range of police duties in and around the state's capitol. Tyey will expedite traffic flow around the Capitol, investigate accidents, and assist visitors to the capitol complex. They also provide interior security at the capitol and sometimes at the Governor's residence. To assist in performing their duties, they may utilized bike patrols and trained police dogs. This agency has the power to enforce the laws and regulations pertaining to fish and wildlife as well as fresh water wetlands and the forests. They often work in the state parks and game preserves. They also enforce the boating and water safety laws. The Secretary of State Police is responsible for the regulation of businesses involved in the sale of motor vehicles and vehicle parts. They protect the consumer of fraudulent motor vehicle transactions throughout the state.